Ever since Lush launched their Christmas collection I've had to resist buying it all which, as a girl who thrives on pink glitter, bath bombs and Christmas, was easier said than done. I'm so glad I resisted temptation because they've just launched their Boxing Day sale, with all of their Christmas collection now half price! It seemed I was going to have nothing but disappointment with the website so I decided to pop into my local store to see what bargains I could snap up. 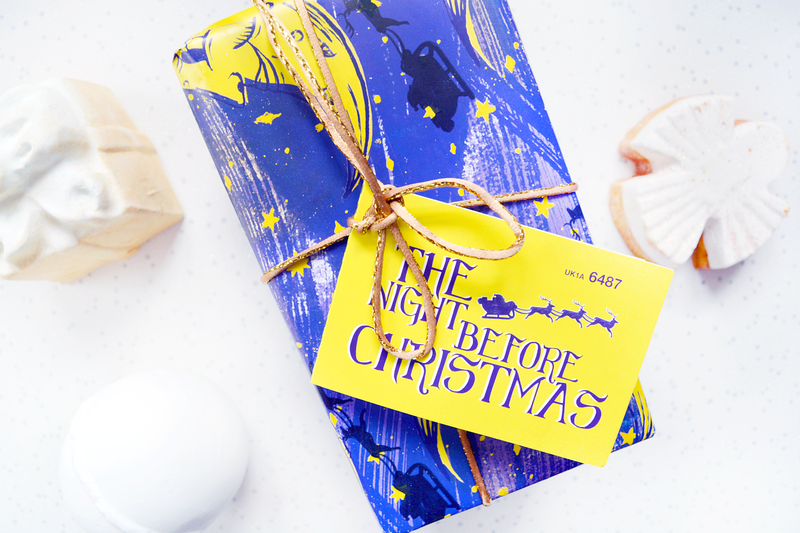 Although I missed out on a few things on my wishlist (namely the Father Christmas and Shooting Stars bath bombs) I got some amazing goodies which I couldn't wait to share with you all. 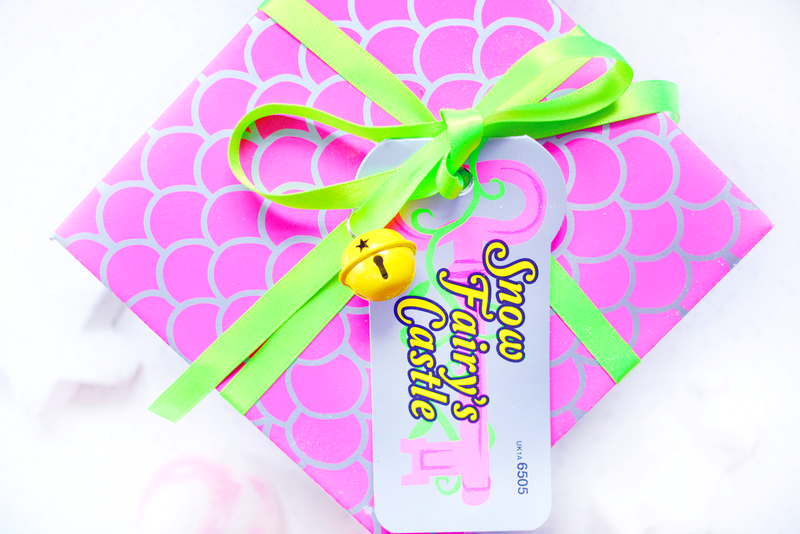 The first thing I bundled into my basket was the Snow Fairy's Castle gift set. 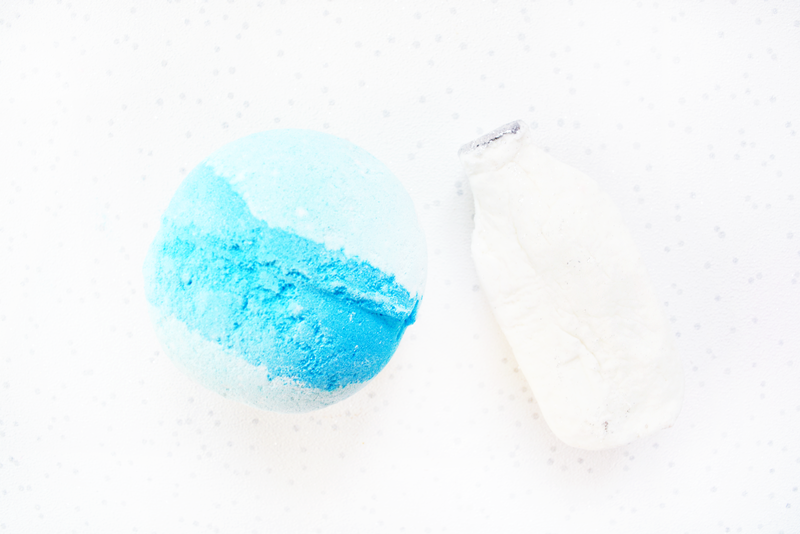 Snow Fairy is my absolute favourite Lush scent and the set comes with: Fairy Dust dusting powder, a Magic Wand bubble bar, Snow Fairy shower gel and a So White bath bomb. 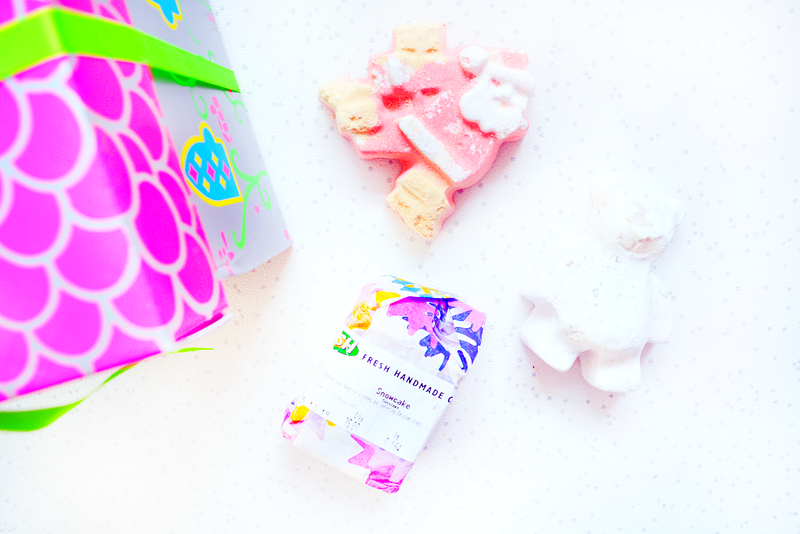 It's boxed up in a pretty pink box with green ribbon and an adorable yellow jingle bel. It's almost a shame to keep it for myself but I'm sure I can live with that haha. 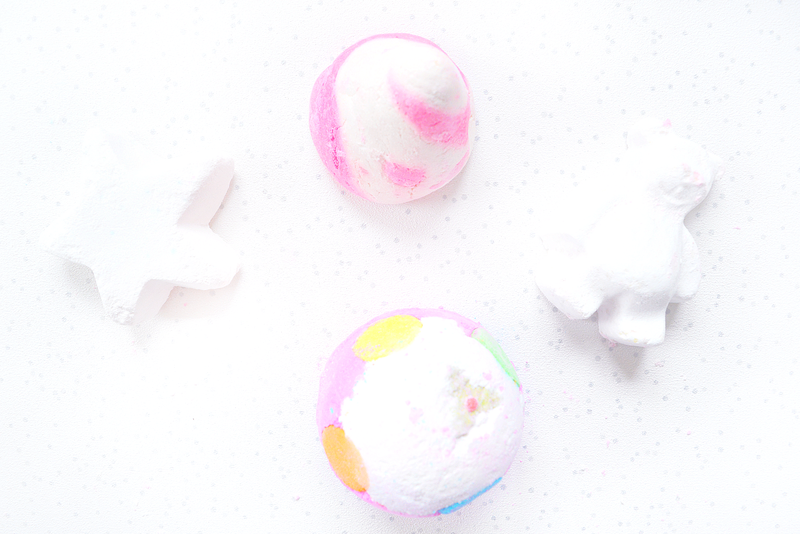 From there I made my way through my bath bomb, melt and bubble bar wishlist, tossing Luxury Pud, Butterbear, Golden Wonder, Snow Angel, Dashing Santa, So White and a couple of Candy Mountains into my basket (which I accidently broke but don't tell anyone). I also picked up The Night Before Christmas which comes with a Snow Angel bath melt and the Intergalactic bath bomb - so exciting! This (not-so) little haul sparked a Lush addiction and I picked up another two items whilst visiting Chichester. I gifted Frozen bath bomb to a friend back in October and after seeing her Snapchat it, I knew I had to get myself one too. The final item in my Lush spree is the Milky Bath bubble bar - a moisturizing cocoa butter filled bar, topped with silver glitter? Um yes please. I think it's fair to say I got enough to last me until next Christmas and I absolutely can't wait for all the luxurious baths I'm going to have! 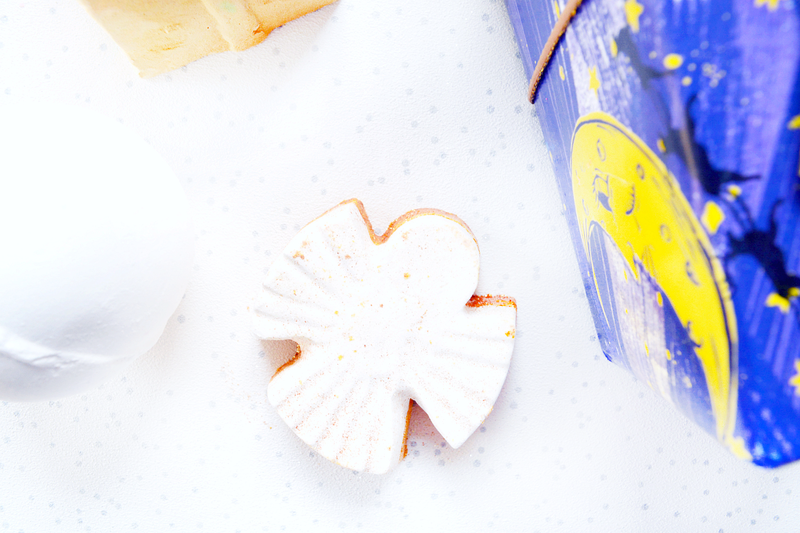 What did you get from the Lush sale?